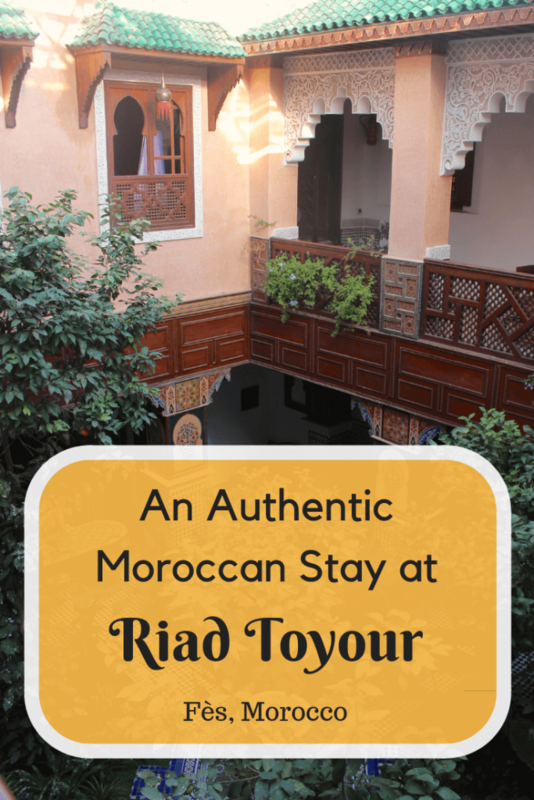 A recent trip to Fès was the first time I had been to Morocco so when it came to picking the accommodation I knew I wanted to go for a riad to have a more authentic stay. A riad is a traditional Moroccan house that is built around an interior Andalusian-style courtyard, usually containing a fountain. 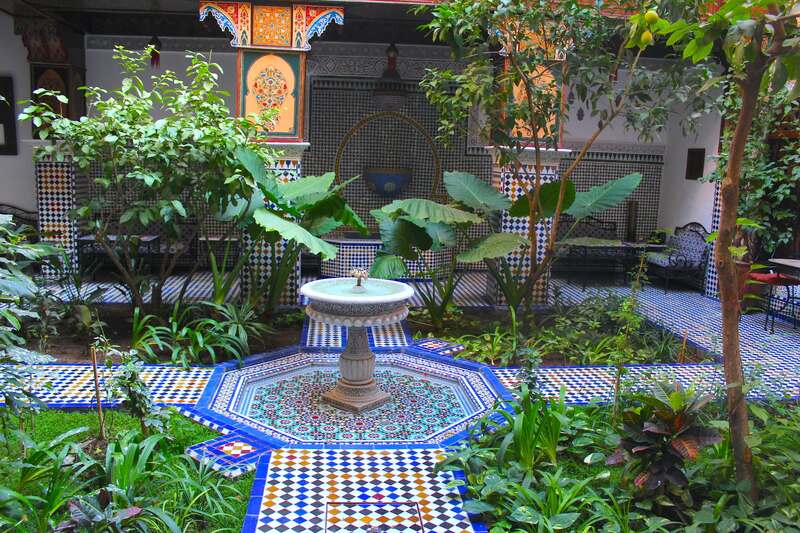 The word “riad” comes from the Arabian term for garden. 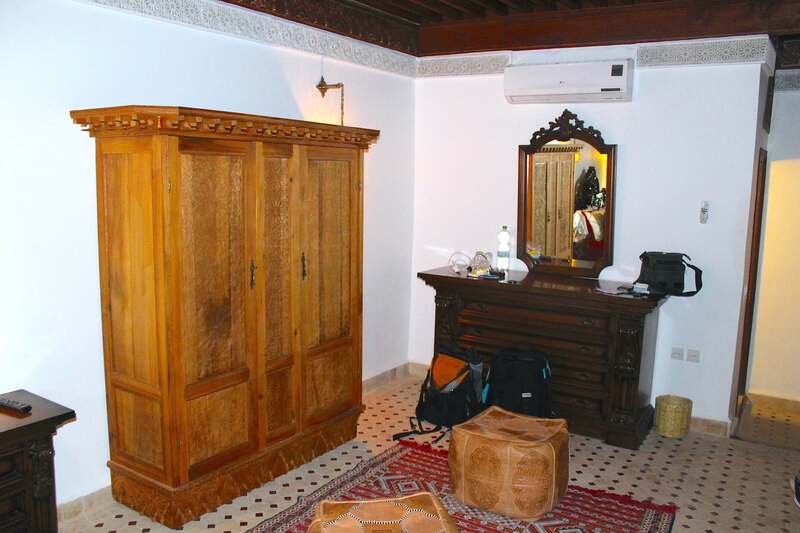 Traditional riads will not have any large windows facing outside which is due to the Islamic idea of privacy. The windows instead will be facing the inner garden. Of course, a lot of the more modern riads will have small windows facing outside. 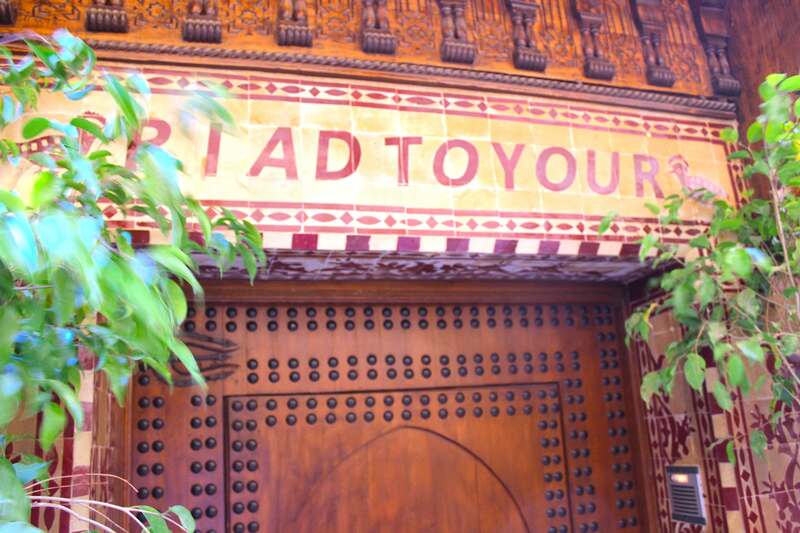 After searching online I came across Riad Toyour which is situated in the old town just outside the medina. 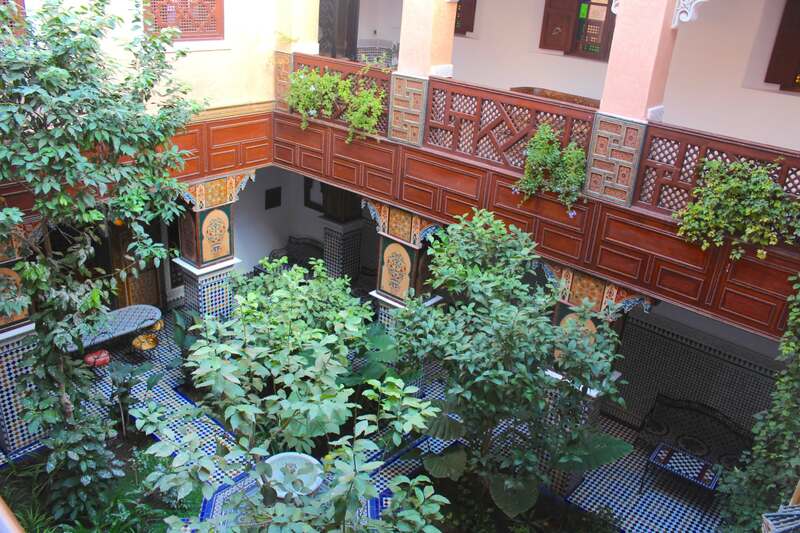 This beautiful riad that was full of plants and birds caught my attention and I just had to stay there. When booking the stay I had given the staff my flight details and they kindly arranged a taxi to pick me up from the airport. My taxi was waiting for me as soon as I arrived to take me straight to the riad which wasn’t too far away by car. I was dropped off at the car park and headed down a tiny street to Riad Toyour. The entrance was just a plain looking door in the street which made the place seem more authentic. 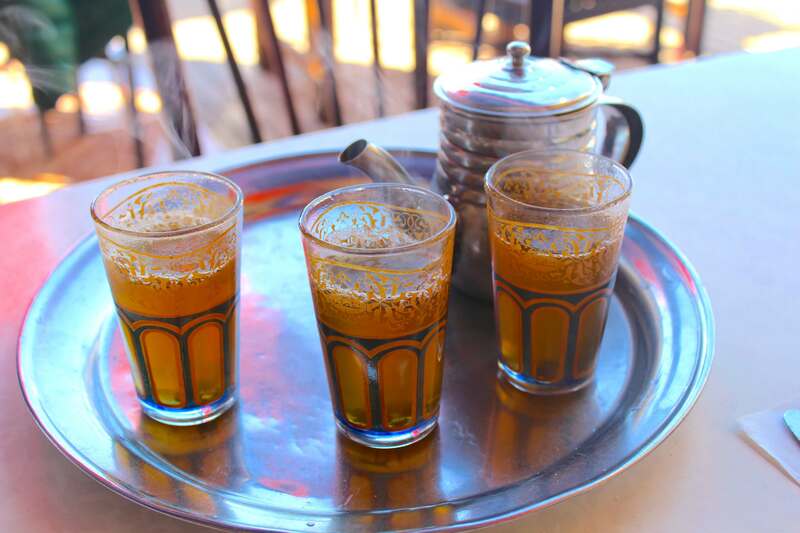 As I entered I was greeted on arrival with some traditional Moroccan mint tea. The perfect way to start the trip! While I sipped on the tea it gave me a chance to look around the courtyard. The mosaic design was so beautiful. As soon as I walked through the door of the room I had a smile on my face thinking “yes, this will do just fine!” The room was a great size and had an elegant charm to it. With a double bed, ensuite bathroom and plenty of space. It was just what I was hoping for. 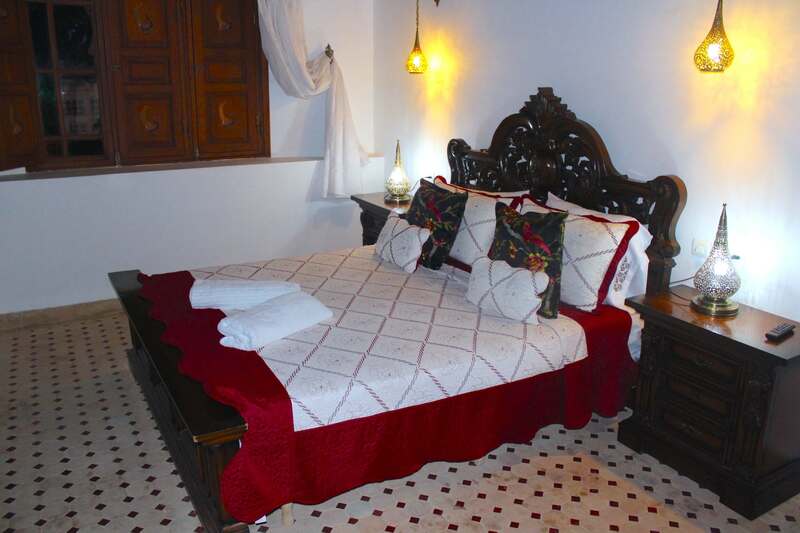 Situated just outside the medina and a short walk from the main road, Riad Toyour really does have a great location. 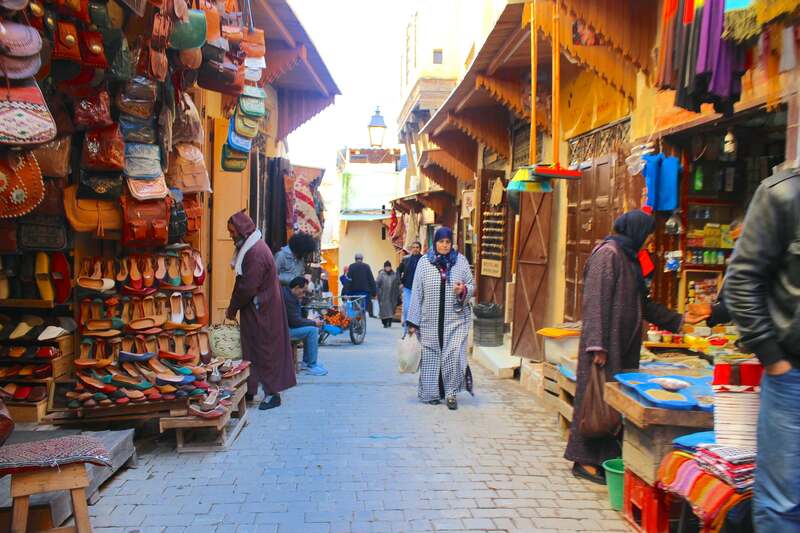 I enjoyed exploring the medina, having a look at all the things available to buy. You can really get a sense of the local culture by doing this. I loved exploring the old city of Fès. 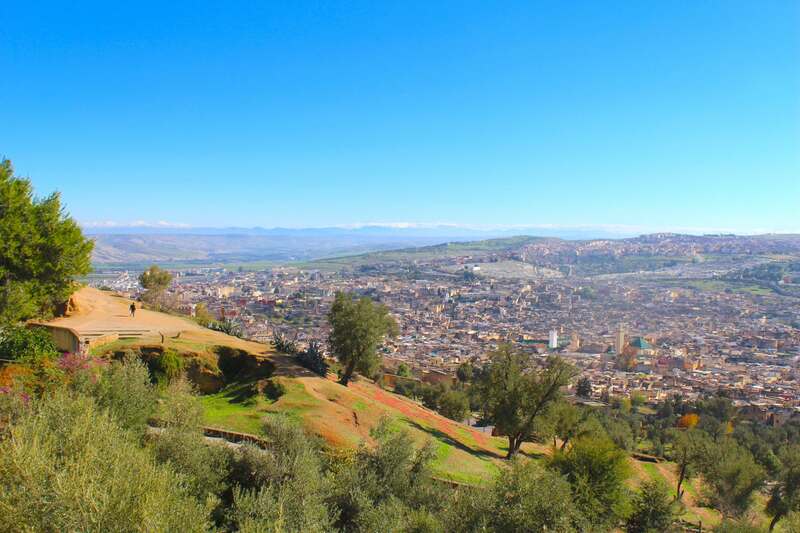 If you want to get stunning views of Fès simply head away from the medina towards the main road. On the other side of the road there is a hill you can climb. It’s not big and there’s a path up. The views from the top were stunning. Plus there is also a hotel up there that has a bar so you can enjoy a Moroccan beer while taking in the views. 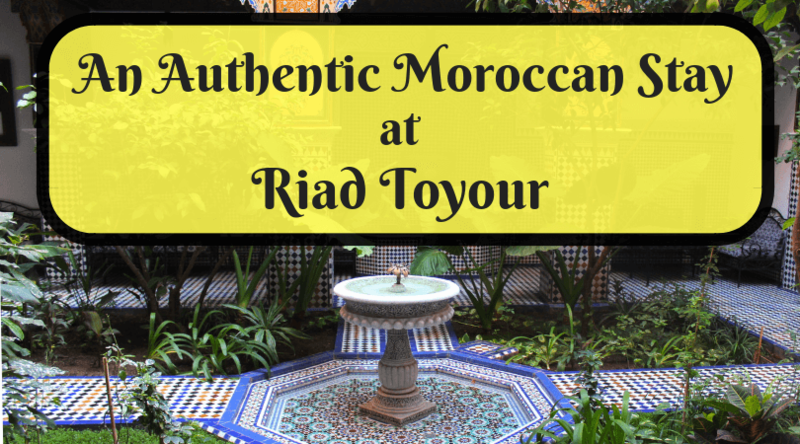 The staff at Riad Toyour were so accommodating and really looked after me. 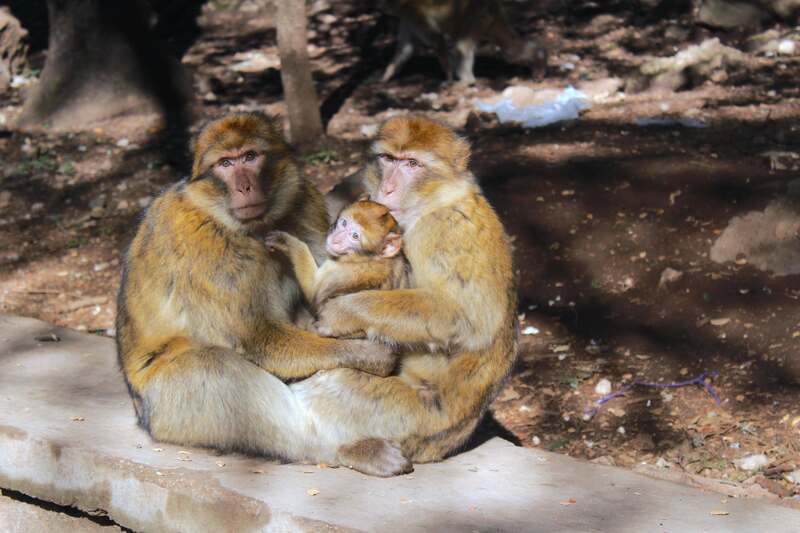 They were always around to answer any questions and when I said I wanted to visit some cool places near Fès, they organised a tour guide to pick me up and show me around. 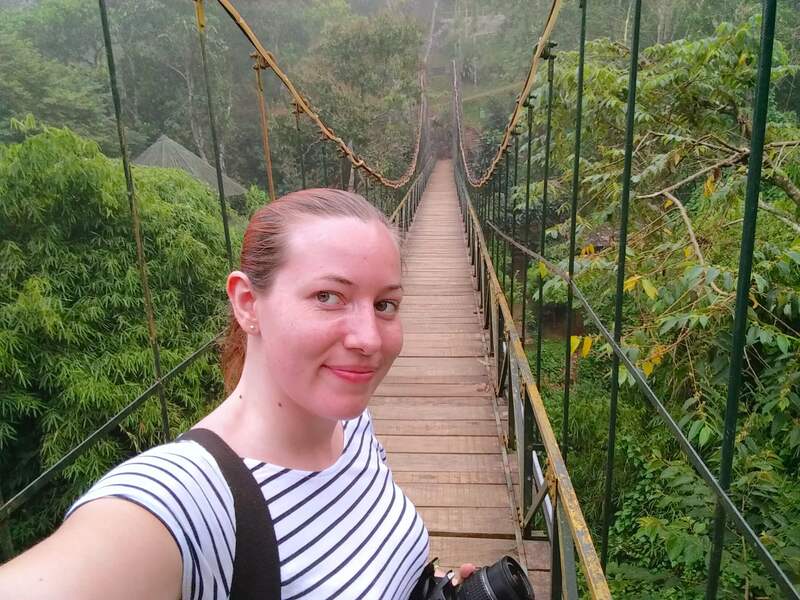 The guide even took me to go find some monkeys! Every morning I awoke to the most amazing spread of local food. I had a selection of yoghurt and fruit, Moroccan bread, fresh juice and a selection of teas and coffee. The table always looked so elegant and it was lovely eating in the courtyard while listening to the birds singing in the trees. 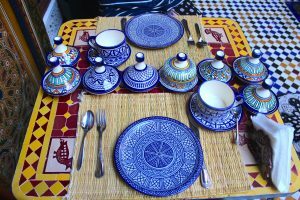 You can also have dinner at Riad Toyour but this needs to be arranged in advance to give the staff time to get fresh food from the medina. When you tell the staff you would like to have dinner they will ask you want you want and then prepare an amazing three course meal for you. The dinner is not included but is well worth spending the money! 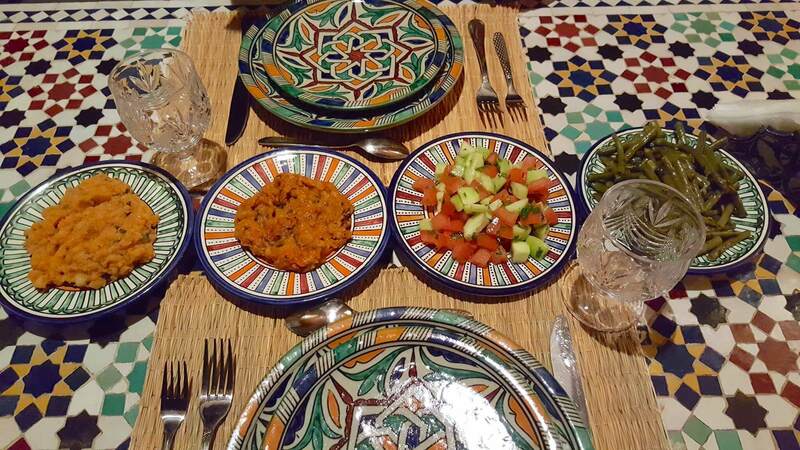 To find out more about the local food check out my Guide to Moroccan Food.